So, with the rudimentary basics of the battle system implemented, I decided it was time to go back and reimplement the overhead map portion of the game in the new engine. It actually didn’t take too long to get everything back up and running since a lot of the code could just be copy-pasted verbatim, although I still had to sit down occasionally and work out exactly how some things should work now. 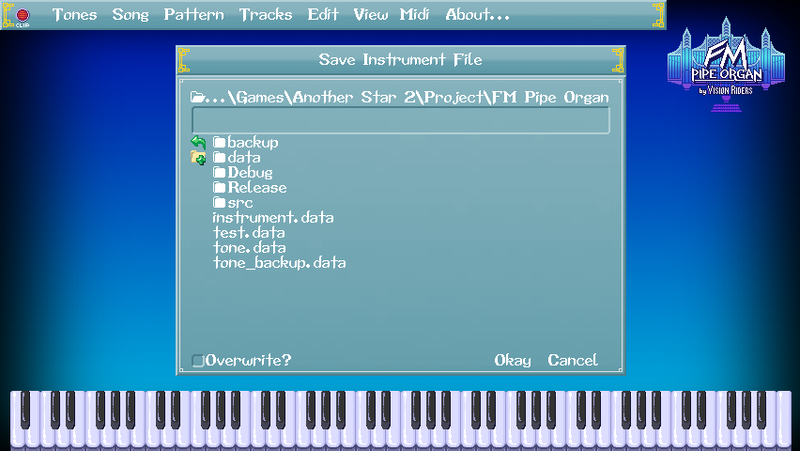 This finally brought me back to where I was before chunking the old “pseudo emulator” engine. I decided my next task was to actually link maps together so that you can get around. While I’m sure you could make an RPG that takes place in a single room, it’d take some real skill to give it enough gameplay to make it interesting for hours on end. Since the earliest dungeon crawlers of the 1970s played on university mainframes, role playing video games have done their best to drop you into a world—sometimes small, and sometimes vast—that you are meant to explore. Don’t mind me. I’m just exploring. It seems like a really simple little thing, but the mere act of moving from one screen to another is a huge moment for me. All of a sudden, individual maps have context and purpose. I remember getting the same feeling when working on the original Another Star. When I made it so that you could move between sections suddenly it felt like I was playing a real game. In any case, this means I can finally start building up actual content and start piecing the game together. 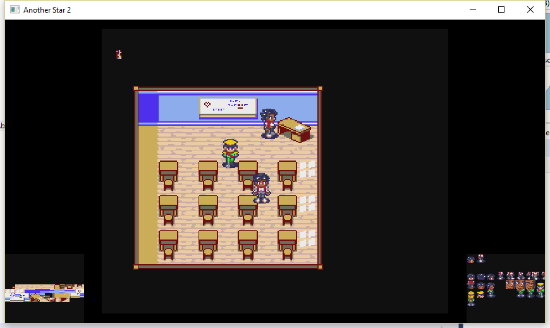 You may also notice that the protagonist has a running animation now. 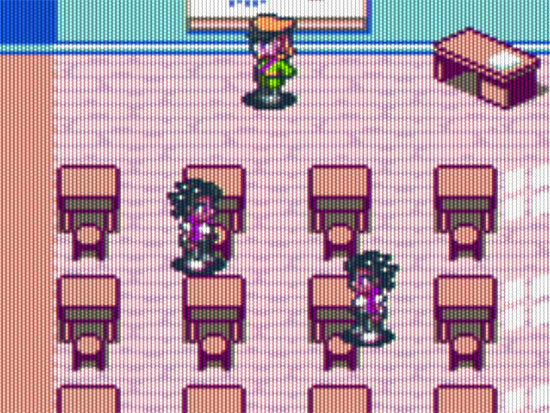 Speeding along at two pixels per frame while watching a normal walk cycle always looked strange to me, so I decided to throw in a simple run whenever the player characters speed up. I think it gives it more of a Chrono Trigger feel than I really wanted, but it just feels like it controls so much better, even though literally nothing else changed other than the animation. 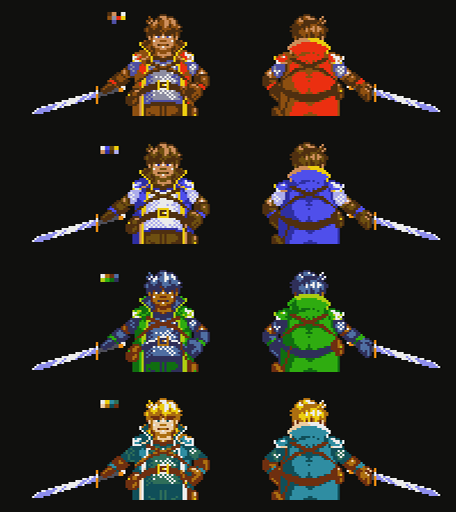 It also gives the character a little more personality when they can zip along like that, especially if I give each party member their own running style. I’m currently undecided if I should implement a classic “run button” when using the digital d-pad. I think the next big hurdle to tackle is scripting. 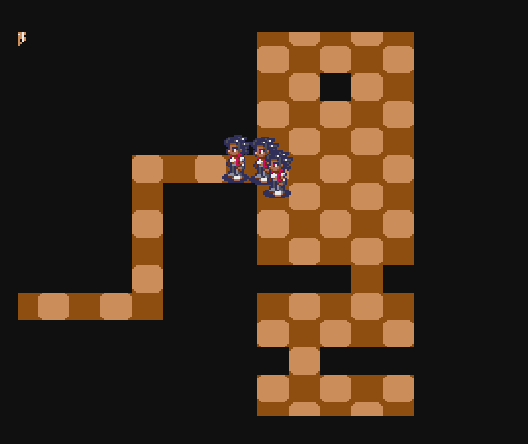 Right now, moving between rooms (maps) is a simple system of “warps” and “labels”. In the room editor, you can drag out a rectangular label in one room and a rectangular warp area in another, then tell it the name of the room and label to take the player and the game will handle it all on its own. 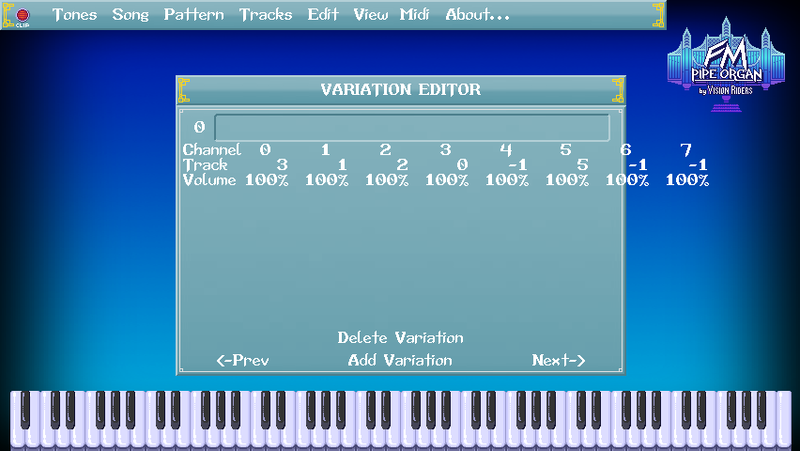 For most uses, this is perfectly fine, but there also needs to be a way to handle more complex transitions. Not to mention a way to actual add the NPCs and objects for the player to interact with. Scripting can be big and complex, but having done this once before, I don’t think it will take me very long to get the basics up and running. A disclaimer before I begin, it must be noted beforehand that I’m talking about a game in active production that is still early in its development cycle. Some of things I’m going to talk about today have already been implemented. Other things are half-finished, while others still are merely planned. It should go without saying, but be aware that lots can change between now and the final game as things are implemented, tested, refined, and, in some cases, dropped altogether. 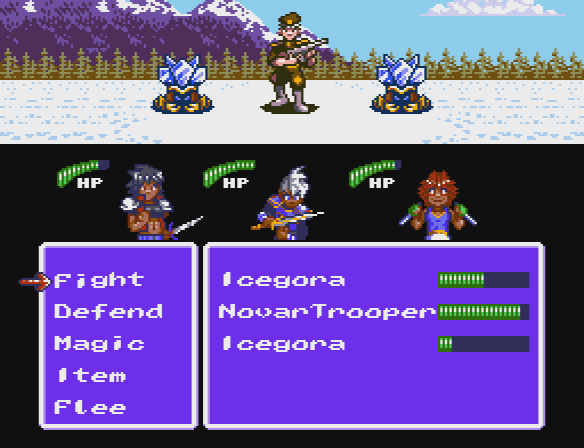 The first Another Star had a pretty typical battle system for an RPG modeled after the 8-bit era. Battles were fought in rounds. You’d pick a command, the game would randomly decide on a turn order based on each combatants’s agility, and then the battle would play out for you to watch. Fairly standard stuff. There were five commands in battle: Fight, Defend, Magic, Item, and Flee. 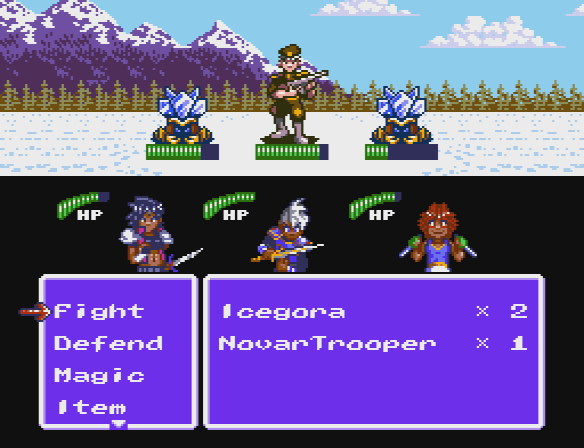 They all did pretty much exactly what you’d expect they’d do in an RPG, with the exception that there is no targeting—everyone always attacked everyone else—and the defend command not only lowered damage taken but also restored a little bit of HP. 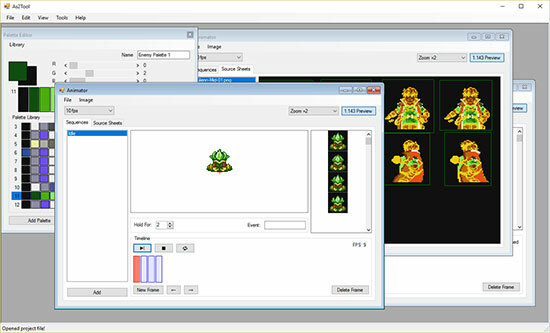 Another Star 2 builds on the first game’s battle system, so little has changed when it comes to the commands available. That said, however, the way you use many of the commands is liable to change. 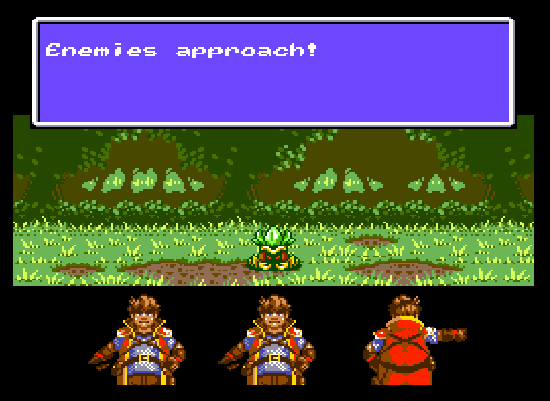 The biggest single addition to the battle system comes in the form of “guard points“. 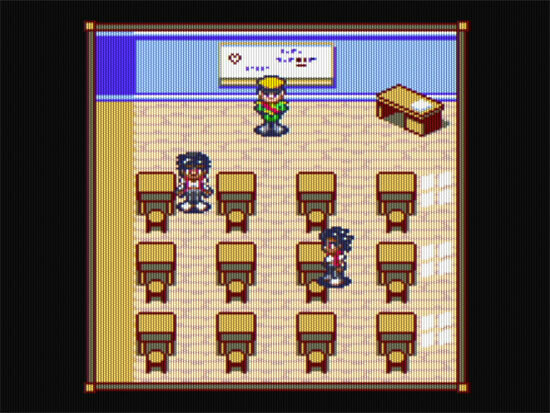 Each character will have a few guard points; probably just two or three at first, but they’ll gain a few more as they gain EXP and level up. But even maxed out, each character will still only have a precious few—maybe 10 to 16 at most, and that’s only for certain characters. These guard points form the character’s “guard meter”. Certain actions in battle will begin to fill the meter, while others (more slowly) will allow the meter to lower back down until it empties out again. Here’s the basic gist of it: you do not want the guard meter to fill up. Collectively, your active party’s guard meters make up the “guard pool”. 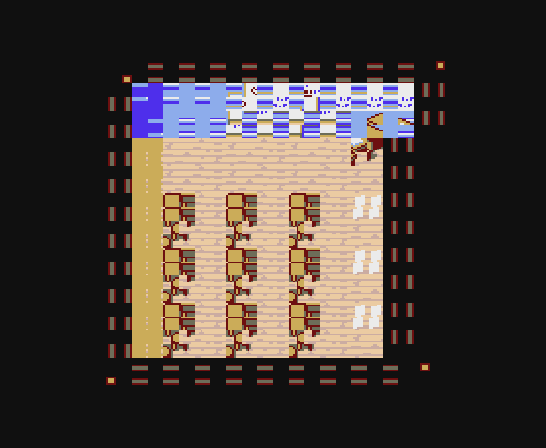 If the guard pool is completely filled—that is, if the guard meter for every party member is filled—and the enemy manages to land a hit, then a “guard break” happens. 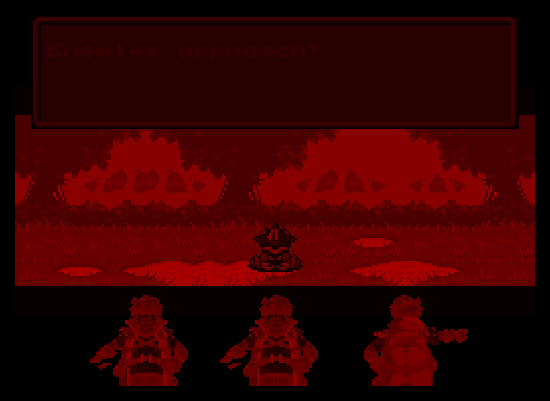 The round immediately ends, and new one will start with the enemy free to wail on you with heavily increased damage while your party stands there in a daze unable to resist. In other words, it’s designed to be an easy way to get yourself killed if you’re not careful with your actions in battle. Character’s guard meters are not emptied after victory either, so plan accordingly. This is your basic “attack” command. 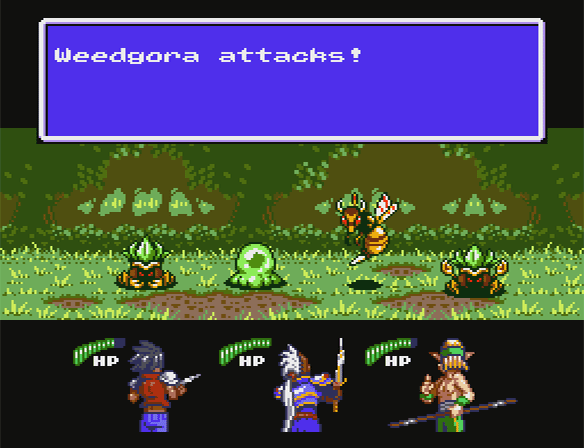 As with the original game, every party member will attack every enemy. There is no traditional targeting system. And again as with the original game, the fight command is a bit of a gamble. There’s a chance the attacker will miss a defender completely, dealing no damage at all. Or they might land a critical hit and deal loads of extra damage. The damage range is also likely to be very wide, more variable than the first game. If you absolutely must kill an enemy this turn, then “fight” might not be the way to go. The attack command is also important for another reason: it’s the primary way to get your guard meter to go back down. When the character attacks during a round (but probably only the first time, if they’re lucky and get multiple attacks) their guard meter will go down by half a point. Defending will significantly lower any damage that characters take during the round. 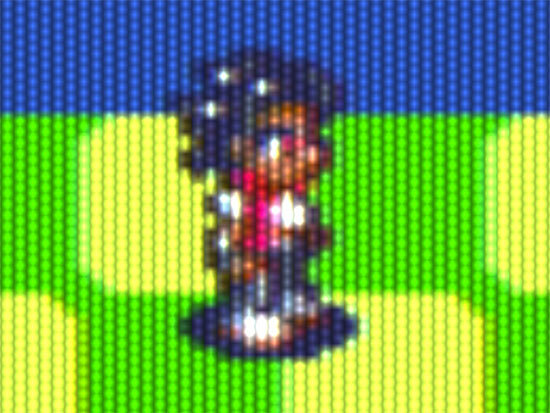 And, like the first game, when the character’s turn comes around in battle they’ll regenerate a decent chunk of their HP. The system was easy to cheese in the first game if you were patient and leveled up enough that you could restore more HP than the damage you took from enemies. But, as you might have already guessed, Another Star 2’s guard system is designed specifically to prevent that particular exploit. In addition to restoring HP, the character’s guard meter will go up by one point. Or, if the character’s meter is already full, that point will either be split between the other two characters, or given to the only character left with any room in their meter. This can make characters with smaller guard meters a liability if you’re not careful. Defending is also not something to take for granted. In Another Star 2, each character has their own innate elemental affinities, which means they have their own elemental weaknesses and strengths. Those who played the first game should already know what this means: if a character is hit by an elemental weakness, it won’t matter if they’re defending. They’ll still take the same amount of damage as if they weren’t—which means extra damage, since it’s a weakness after all. Getting hit by a weakness also causes the character’s guard meter to go up by one point, whether or not they’re defending. Magic is going to work a little differently than the first game, but it’s still the same idea. There are no “magic points” in Another Star 2. Spells are cast by sacrificing your hit points. Since magic cost HP, there aren’t really any traditional healing spells (which is why the defend command is so useful in both games). When casting magic, only the caster gets to act in battle; the other party members do not get to do anything that round. However, magic attacks ignore enemy’s armor rating, meaning they can often do just as much damage as all three characters together if the caster is good, and they can do a lot more if they exploit an enemy’s elemental weakness. Magic attacks will also tend to do more “stable” damage in Another Star 2, with very little variance from round to round. There’s also plenty of buffs and debuffs and support magic, too. Veterans of the first game will be glad to learn that hit point costs for magic are planned to be fixed-cost in Another Star 2 instead of percentage-based, and you’ll likely have access to earlier forms of spells instead of just the most recent upgrade. Useful, since the cost will still go up with each new spell evolution. It’s also worthy to note that spells are not planned to be tied to characters in Another Star 2. Each character will get a fixed number of spell slots (with access to a few more as they level up), and you will be able to equip spells like you would weapons or armor. Some characters will get more slots than others, making them more useful for magic. But remember that characters have innate elemental affinities now. They can use spells of any element, but they likely won’t be able to do as much damage with spells that they’re weak to the element of. This is a new command for this game that wasn’t in the original. Skills are innate to a character, similar to how magic was in the first game. You can’t just unequip a skill and give in to someone else. Each character has at least one skill, but may gain more as they level up. There will likely be ways to use skills from characters who aren’t in the active party, at the cost of guard points. As with magic, only the skill-user will go during the round. The best part is, just like in the first game, agility is not factored into turn order when using an item. The party leader will use the item right away as soon as the round starts. So go ahead, take a chance and let your HP get really low before burning a consumable to bring it back up! As long as you survive the round, you’ll be able to heal up right away come the next. Sometimes things go wrong. Like, very wrong. In that case, there’s little to do but run away and live to fight another day. As with the first game, you can’t run away on the first turn. You’ll also lose a good chunk of your loot when you do choose to run. But one planned change from the first game is that fleeing doesn’t happen right away. The enemy gets one last free turn to smack you around before you go. Thankfully, however, you’re guaranteed escape. For this last beating anyone left standing will retain at least one hit point, and you won’t get your guard broken even if you take a hit with a filled guard pool. 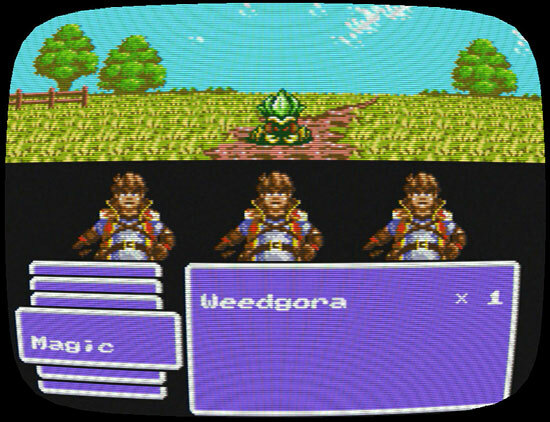 Early RPGs, whether released on consoles or the personal computers of the day, had very simple interfaces. This was common across all genres, of course. RAM was severely limited, especially on consoles, so there was only so much room to store data and graphics. But this was harder on some genres, like RPGs and strategy games, than it was on others. Sometimes important information had to be remembered because there just wasn’t enough room to keep it on screen. Other times, the games left out important information altogether and you had to keep the manual and a bunch of fold-out charts on hand if you wanted any chance at making sense of it all. 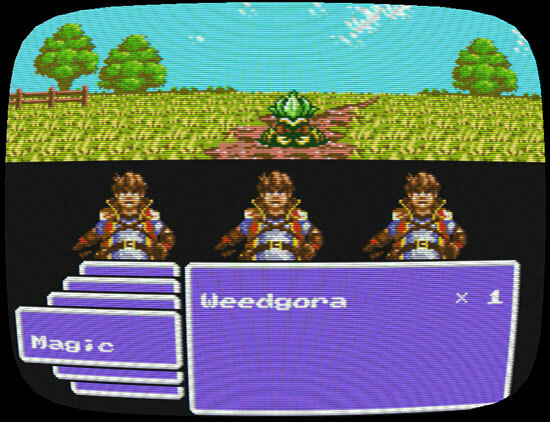 These early RPGs are perhaps most famous for their simple text menu, usually consisting of the classic Fight/Spell/Run/Item combo. The original Another Star followed this tradition practically to the letter. 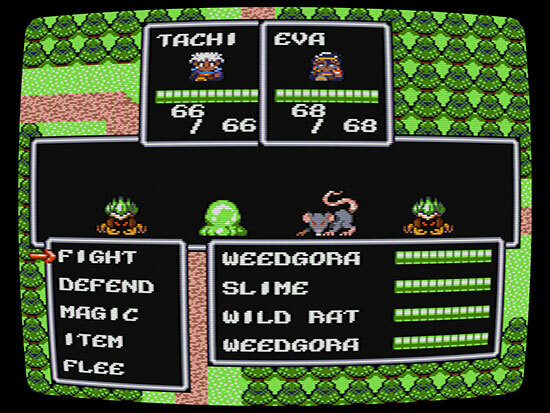 This screenshot is from the game’s original release. Notice how much focus is put on the interface elements themselves. 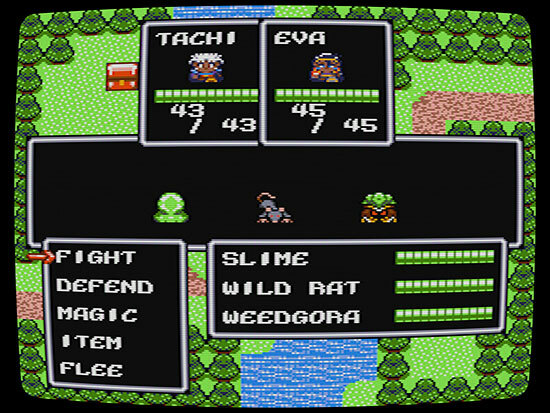 The party is squished in up at the top, enemies are barely a blip on the screen, and most of the screen space is dedicated to menus and numbers. A little over a year after the game first came out, I did a new version for the game’s release on Steam. This new version included brand new graphics for all the enemies. The Version 3 Steam release. The enemies are bigger and more distinct here, it’s true, but many of the same issues remain. Now, it’s not necessarily a bad setup. 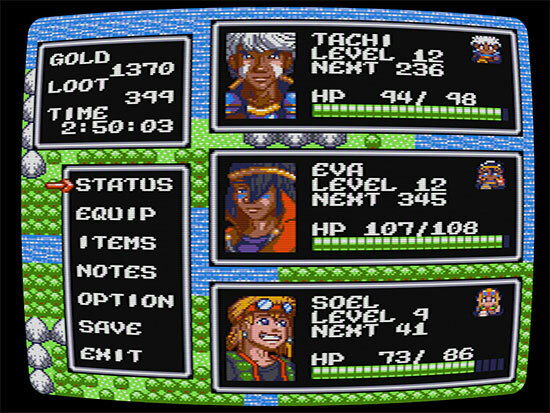 You can only make text so small on an 8-bit system without getting into serious VRAM issues, and this interface packs in a lot of information that most RPGs didn’t even bother with, like details about the enemies’ current HP and health bars for the player’s party members to help them better visualize how their party is holding up. But for Another Star 2, as you’ve seen from past mockups, I really want more focus put on the graphics themselves. I want the enemies to be big and detailed. I want the backgrounds to really give a sense of the game’s setting. I want the party members to be recognizable and relatable—I want them to face the player when they’re receiving their orders instead of always standing with their backs to the camera, so that the player knows what they look like and can actually get attached to them. This is really asking a lot of an “8-bit game”, but it’s not entirely without precedent. Contrary to what some think, Another Star wasn’t named after this game. 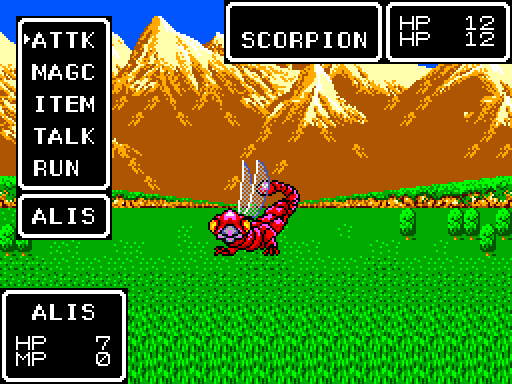 Phantasy Star was a late Sega Master System game. Notice how bright and colorful the background is, and how it takes up the full screen. 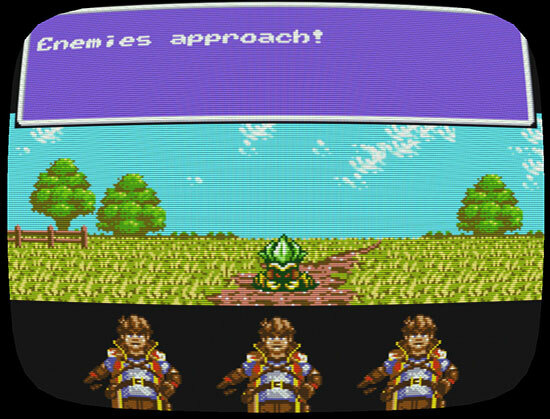 The enemies were even animated when they attacked, although they could only ever manage to fit a single enemy on the screen at a time. This game really pushed what the console was capable of. 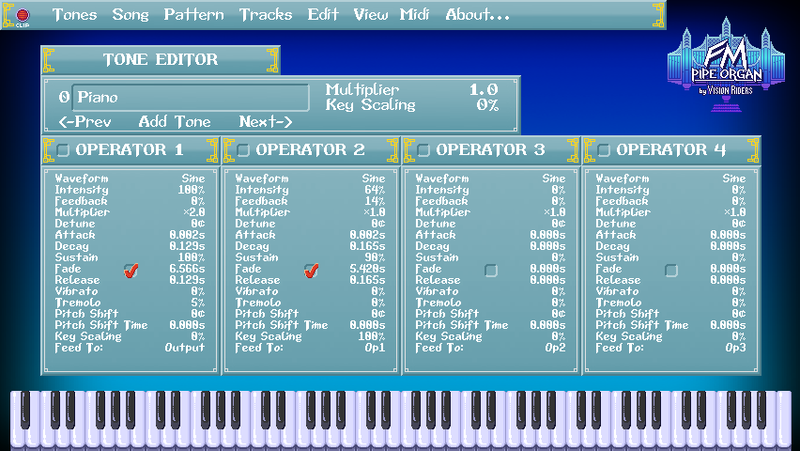 However, by giving more priority to the graphics, I’m left with less room to assign to the interface. I used mockups to try and solve this problem by seeing what I could move around or reorganize. I wrote about the process in more detail here before I even began actual work on the game, but to summarize, I began by simply recreating the interface to the first game. No room for the characters’ names, see? Still quite tight, but much more breathing room. By shrinking the window-based interface elements down sixteen pixels and moving the HP bars up to the enemies themselves, not only does everything feel less cramped but parts of the interface now feel a little more connected to what they’re meant to represent. Still, there was the problem of the menu itself. 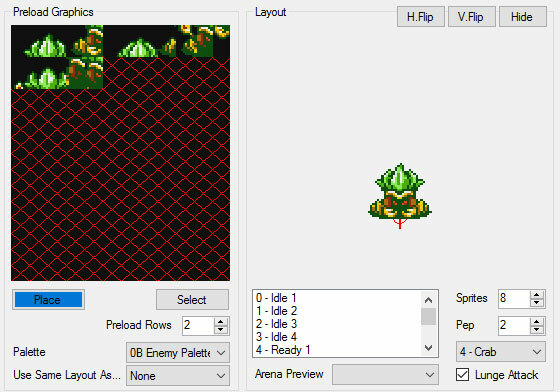 Another Star had five battle commands, not four. One of them had to be pushed off the end, indicated by the down arrow letting the playing know there’s more they can do. But that seemed sub-optimal. That arrow is pretty small. Would the player always realize at a glance that there were more options? Forgetting “flee” might not be a big deal 99% of the time, but Another Star 2 is set to have at least one new battle command, so what else might get lost in the shuffle? It seemed there must be a better way. The cursor hadn’t been implemented yet, but it was going to point to the selected option, making it more obvious that it was an option. And since you could only see one of the options at a time, the layered windows should have communicated pretty well that there was more you could do. 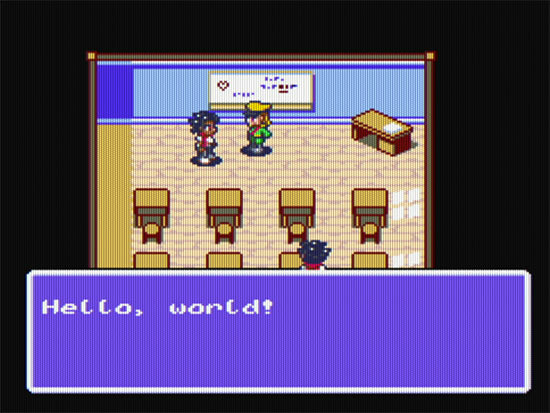 But it seemed so clunky, especially since I really need to keep the 8 pixel tile above each letter of text reserved for languages that need diacritics (you’ll see this often in Japanese RPGs on the NES; it’s how they implemented the dakuten for their kana characters). I thought about adding a little animated icon for the current selection to liven it up a little, but I was already out of VRAM tiles for the scene. Then came the engine reboot I talked about in the last dev log entry, at which point the tile limit became more of a suggestion than a hard-and-fast rule enforced by limitations of the engine itself. So I decided to do a mock up of what it might look like if I went all-in with icons. I did make sure to leave text so that you don’t have to guess what the highlighted icon means. I hated it almost immediately. It didn’t feel very 8-bitish to me at all. 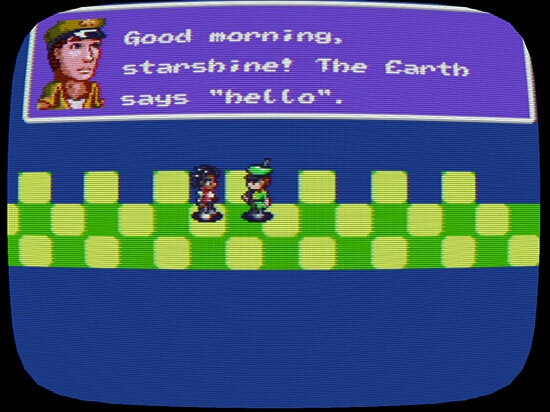 On the NES and Master System, text was used for everything it possibly could be. 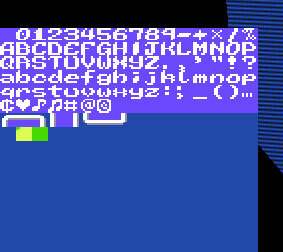 The letters were already taking up precious space in VRAM. Why waste them? Extensive iconography was rare even into the 16-bit console era and beyond. Mainstream Final Fantasy wouldn’t even get a visible HP bar until the PlayStation 2 came around! But the mock-up got a pretty good response when I previewed it on Twitter, and after sleeping on it, it did kind of grow on me. 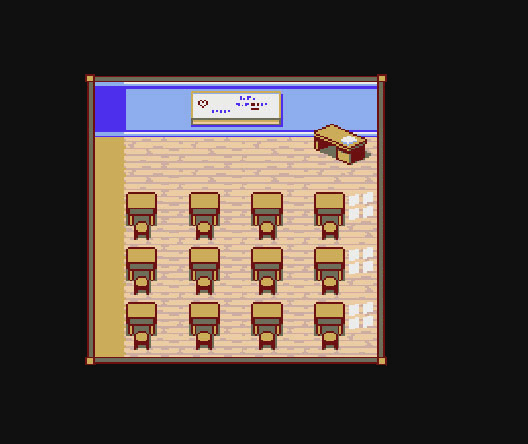 I decided to try implementing it in the game just to see how it’d look for real. The custom As2Tool application I wrote to help make the game has an animation tool that standardizes all animated graphics in the game, cutting down on the amount of graphics-related stuff I have to hard code in the engine. The tool is very simple and somewhat primitive, but it ended up being fairly flexible and allows a single frame of animation to have multiple elements, so… well, suddenly it was very easy and fast to make things look however I wanted them to. Maybe I got a little carried away, even? Apologies for the poor quality of the GIF, but this is actual footage from the game. 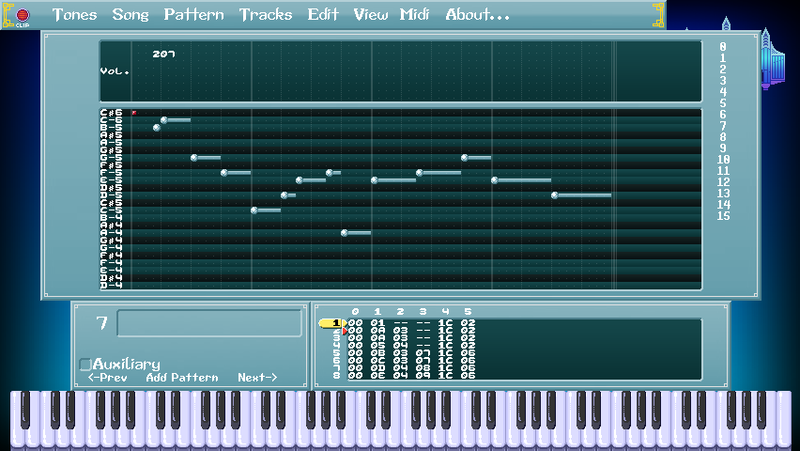 Granted the characters are stuck on arbitrary loops right now for testing, but look at how alive the whole thing feels! Another Star 2 is supposed to carry on the torch of Another Star’s fast-paced battle system. It’s supposed to feel snappy and energetic! 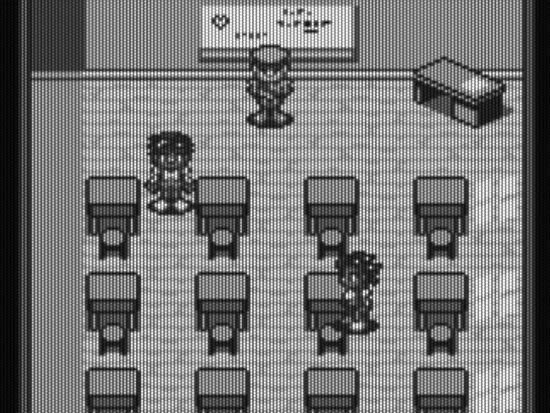 Look at how the screen flicks down to focus on the party when it’s time to give orders. Look at how the clash of swords sends sparks flying. It’s meant to keep you pumped and eager for battle! It actually turned out better than I’d imagined it. 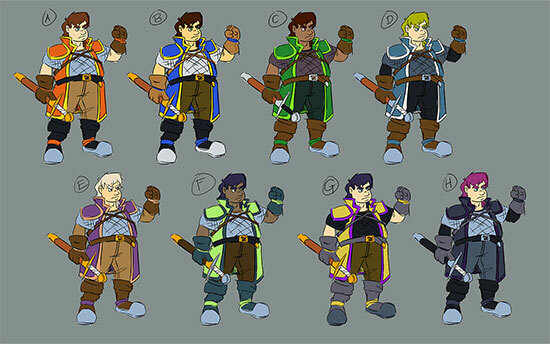 In the next dev blog I plan to dig a little deeper into the inner workings of the battle system itself. There’s a lot I’m not ready to reveal yet because it’s so early and so much can change between now and release, but there’s some interesting changes planned in comparison to how things worked in the first game.